It's the beginning of something very exciting, and we're on board to capture all the action! 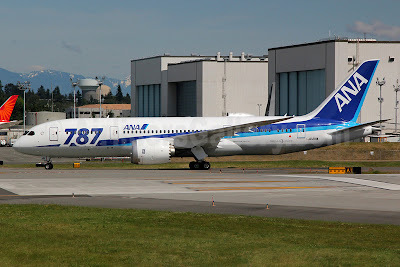 Seattle Gay News joins a small press corps today for an experience aboard All Nippon Airways' inaugural Seattle-to-Tokyo 787 flight. The Japanese-based airline launched non-stop service between the two cities in July, but has been utilizing a 777 aircraft for the 10.5 hour flight (outbound, from Seattle). At 1:15pm this afternoon, ANA will send its first passengers to Tokyo on a 787 "Dreamliner", which is mostly made of carbon fiber and other composite materials. ANA is the first airline to receive and put the "Dreamliner" into active service.